SCOTTSDALE, Ariz. — OB Sports Golf Management is proud to announce it has agreed to a working relationship with Seattle-based Premier Golf Centers. OB Sports will support the Premier executive team on the management and operations of all Golf, Food & Beverage and Golf Course Maintenance operations at Premier’s 11 municipal facilities throughout Washington. OB Sports established a Northwest-based regional office in 2018, under the leadership of Senior Vice President of Operations, Ryan Whitney. Whitney will serve in a similar SVP role with Premier, working closely with the Premier executive team and the GM’s at the respective courses to utilize the various resources of OB Sports, with the goal of continuing to improve the customer services and financial performance of the Premier portfolio. Established in 2001, Premier Golf Centers manages 11 golf courses for six municipalities in the Puget Sound region. It operates with a commitment to quality management in all facets of operations, including golf course, practice range, retail pro shop, food and beverage and special events. Additionally, the Premier Golf Centers Instruction Academy has assisted golfers of all levels at eight of the facilities with everything from learning the game to refining the golf swing. Over the years, Premier Golf has established a loyal base of golfers through the promotion and benefits of the Premier Golf Club Loyalty and Rewards Program (known as the Premier Card). With no fee to join, this popular program allows members to accumulate points with each dollar spent, triggering discounts ranging from 5% to 20% on green fees, golf cars and range balls. The Platinum level of 20% is achieved once a cardholder has collectively spent $1,000 at Premier facilities in a given year. The nearly 50,000 cardholders also receive exclusive offers on merchandise, member appreciation golf events and discounts with partner companies and organizations. “We look forward to implementing exciting travel benefits for Premier Cardholders to visit other OB Sports properties throughout the country, as well as OB Cardholders visiting the Puget Sound,” said Whitney. OB Sports Golf Management is a diversified, golf-oriented company with a long history of success in the golf industry. OB Sports currently manages around 60 premier golf courses and country clubs throughout the United States, while expanding its international footprint to include Royal Blue Golf Club at Baha Mar in Nassau, Bahamas, and Dumbarnie Golf Links in Scotland. Known for its comprehensive and personalized services since 1972, OB Sports has become widely acclaimed as the leader in boutique-style golf course management. Named a Top 100 Business in Golf by the National Golf Foundation in 2018, visit obsports.com to get more information, or call (480) 948-1300. Become a Fan of OB Sports on Facebook, follow OB Sports on Twitter, or visit the OB Sports YouTube channel. 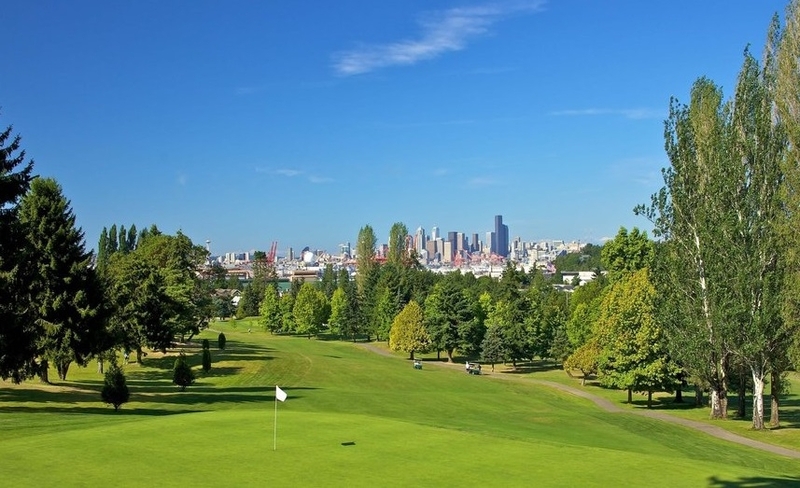 Established on 2001 and based in Seattle, Wash., Premier Golf is the leading golf course management services company for municipalities in the Pacific Northwest. Premier Golf’s mission is to provide the highest quality facility and service to our patrons that will enable us to achieve customer satisfaction second to none. This mission encompasses all our amenities, golf course, practice facility, instructional programs, pro shop and restaurant. Our ultimate goal is to provide a fun experience for all who visit Premier Golf Centers. For more information, visit premiergolfcenters.com or call (206) 254-6545.